I don't generally talk about gear's announcements, I generally don't care most of the times, in my opinion zoom lenses like the Canon 24-70 f/2.8 Mk II can stay on the shelves with that price tag, so why bother to talk about it? Well, this time it's different, as Sigma just announced a new redesigned version of their 50mm prime lens, the Sigma 50mm F1.4 DG HSM Art, and it's not just a change of the outfit, but a complete redesign of the lens, and after their amazing Sigma 35mm f/1.4 Art Lens and the really impressive 18-35mm f/1.8, this new 50mm has all the prerequisites to become the next big thing in the photography world, and even if I really love my old but still good Canon 50mm f/1.4, if they keep the same quality of the 35mm, I'll probably sell it to buy this new baby when it will come out. But for the moment it's better to wait for the first tests on the road, let's see if Sigma can go for the bingo. If you don't own a 50mm, you should, especially if, like me, you take pictures at gigs, for music photographers it's a "must have" lens. 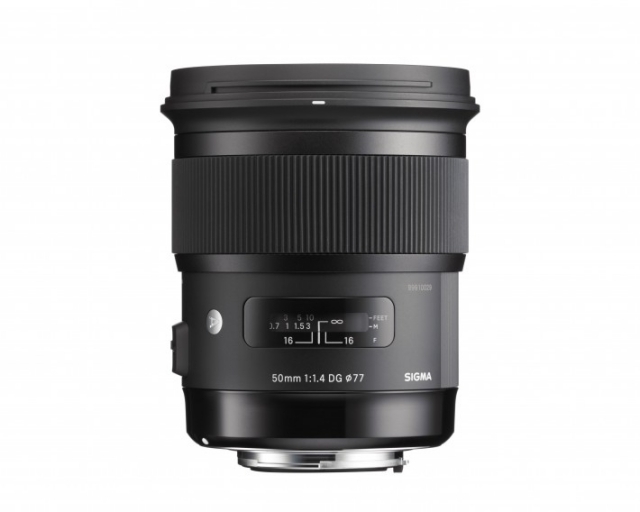 Now, I'm still waiting for a 24mm f/1.4, can we have it as the next lens Sigma? Pleeeease! Ah, forgot to mention that they announced the 18-200mm F3.5-6.3 DC Macro OS HSM Contemporary lens, but apart from very lazy photographers, who really cares about this lens? LAS VEGAS– Jan. 6, 2014Â – Sigma Corporation of America, a leading researcher, developer, manufacturer and service provider of some of the world’s most impressive lines of lenses, cameras and flashes, today announced the launch of two new Global Vision lenses from the 2014 Consumer Electronics Show in Las Vegas. The improved and redesigned 18-200mm F3.5-6.3 DC Macro OS HSM and 50mm F1.4 DG HSM lenses are the latest additions to Sigma’s Global Vision lineup. Both lenses’ availability and pricing have yet to be announced. TheÂ 18-200mm F3.5-6.3 DC Macro OS HSM ContemporaryÂ lens, designed specifically for APS-C DSLRs, is the successor to the 18-200mm F3.5-6.3 II DC OS HSM, which was launched in 2011. The smaller and lighter lens (15.2 ounces and 2.8Ã3.4 inches versus 17.3 ounces and 3Ã3.5 inches) now macro capabilities with a minimum focusing distance of 15.4 inches and a maximum magnification ratio of 1:3, as opposed to the lens’ earlier minimum focusing distance of 17.7 inches and max magnification ratio of 1:3.8. Its minimum working distance is 14.7 inches, which makes the lens suitable for close-up shooting with natural light, keeping shadows of the camera and lens out of the image. The 18-200mm F3.5-6.3 Macro has also been updated to incorporate Special Low Dispersion (SLD) glass elements that have a high refractive index and can correct chromatic aberration at the telephoto-end. Moreover, aspherical lens elements, including double-sided aspherical lenses, will ensure a compact size and excellent correction of distortion. Both lenses incorporate Sigma’s Hyper Sonic Motor (HSM) system to produce quiet, high-speed auto focus. In addition, they include Super Multi-Layer Coating to reduce flare and ghosting, and to ensure high-quality images throughout the entire zoom range. The 18-200mm F3.5-6.3 DC Macro OS HSM and 50mm F1.4 DG HSM lenses are also compatible with Sigma’s USB dock and the company’s Mount Conversion Service. Other recently announced lenses and accessories such as the 24-105mm F4 DG OS HSM, 18-35mm F1.8 DC HSM | ART and USB Dock will be on display at Sigma’s CES booth. Visit Sigma at CES 2014 at booth 10431in Central Hall at the Las Vegas Convention Center from Jan. 7 to 10.